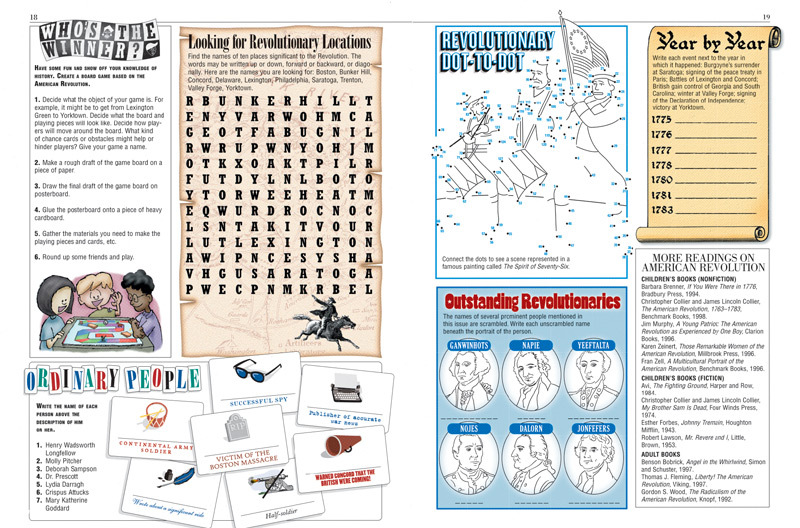 The main battles and key leaders of the American Revolution, for kids, are the focus of this stirring issue, which starts off with a look at the strained relationship between the colonies and Britain at the end of the French and Indian War in 1763. 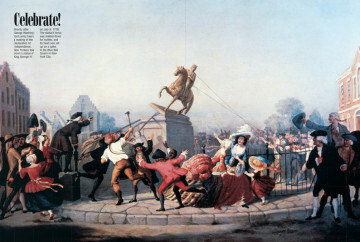 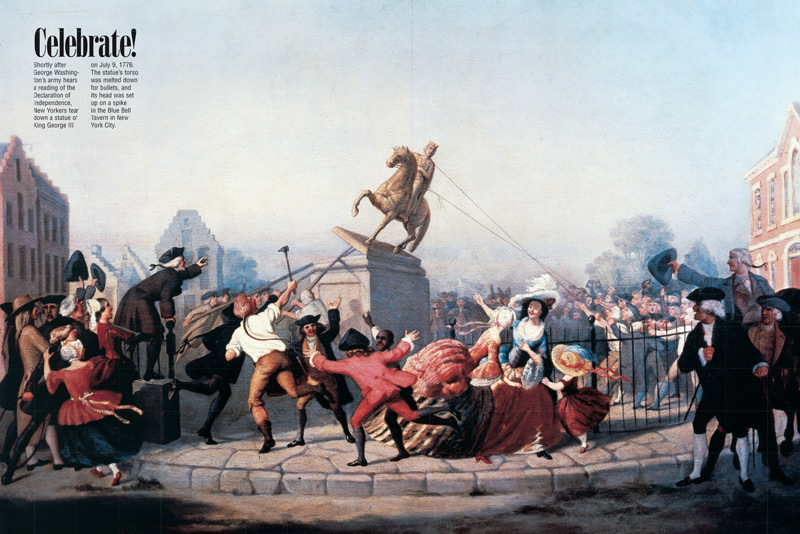 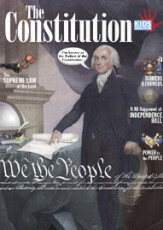 The crown thought the colonies should pay Britain’s war debts, and instituted the famous Tea Tax, among others, but the colonists railed against “taxation without representation”- and a series of dramatic incidents, like the Boston Massacre and the Boston Tea Party, resulted in both sides formally taking up arms in 1775. 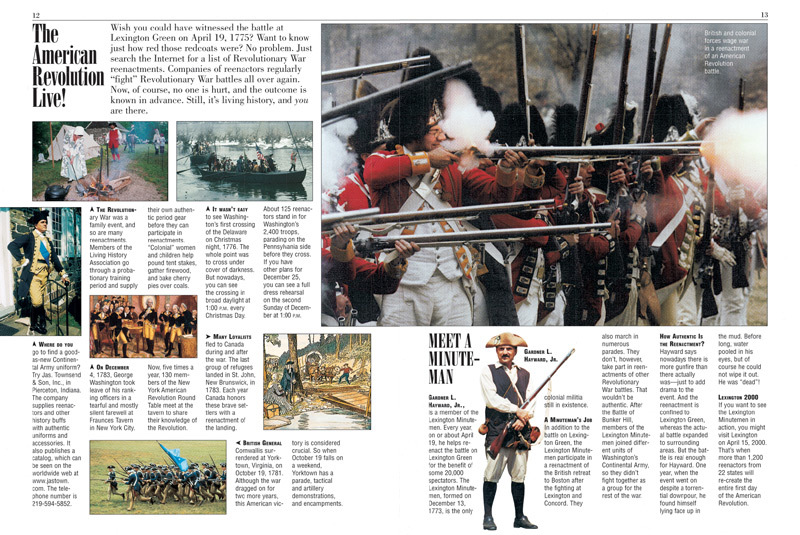 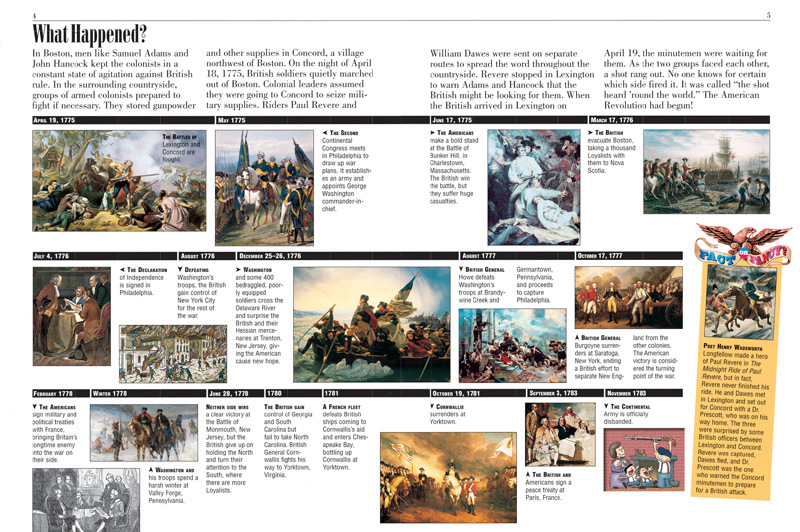 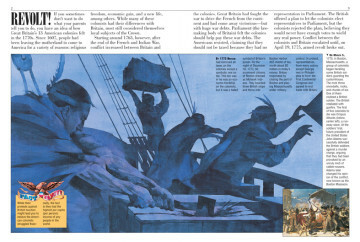 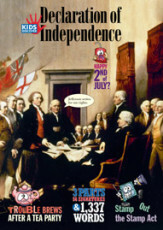 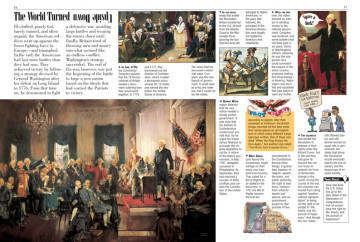 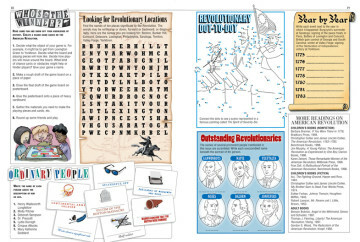 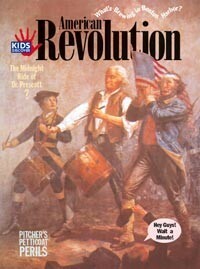 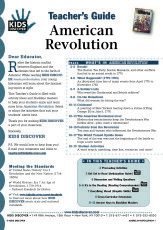 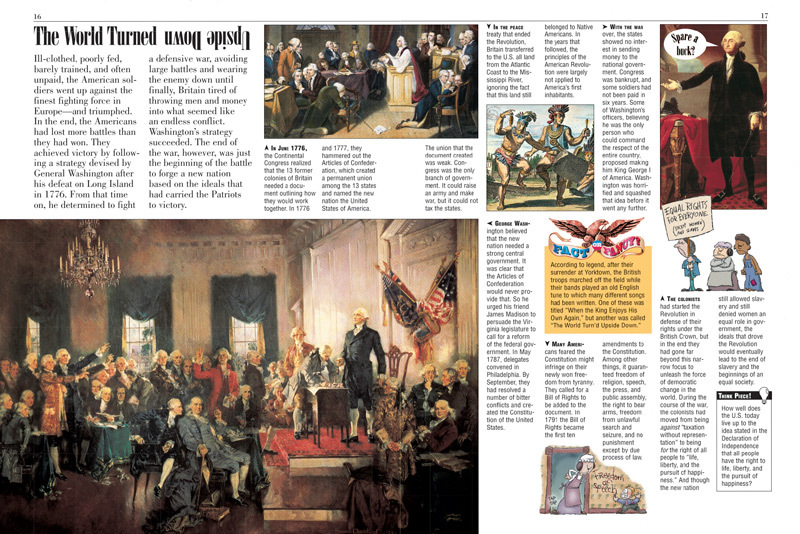 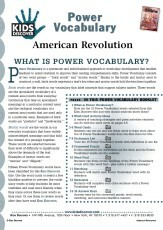 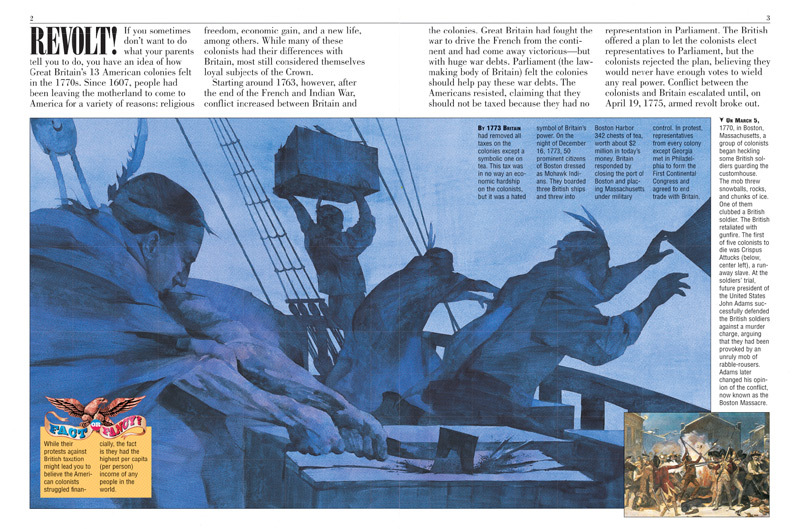 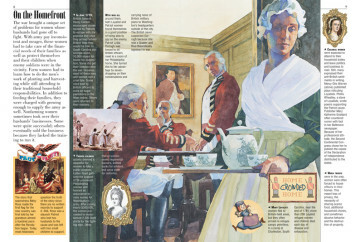 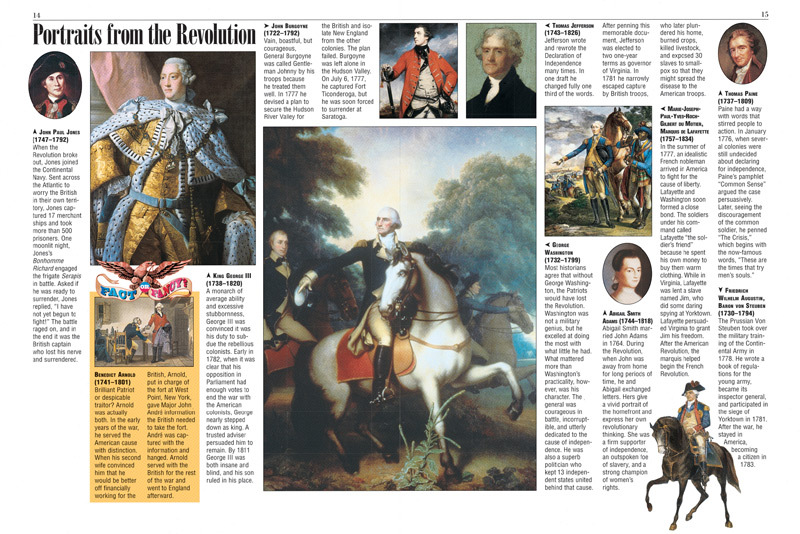 A two-page timeline of the American Revolution, for kids, traces the war from this beginning through to the surrender of Cornwallis and the signing of the peace treaty in Paris in 1781. 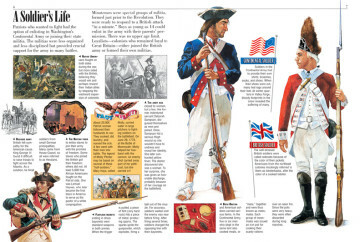 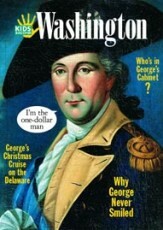 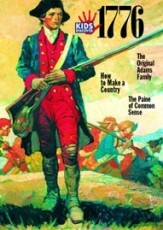 Kids will also get to see what a soldier’s life was like: The Loyalists were well dressed and superbly trained, and had hired Hessians and Native Americans to help them, but the Patriots – although less well-outfitted and often unpaid – took the advantage by fighting a defensive war that eventually wore down the British. During the American Revolutions, kids will learn, the home front was managed by women who were tasked not only with protecting their families but also with keeping them financially afloat. 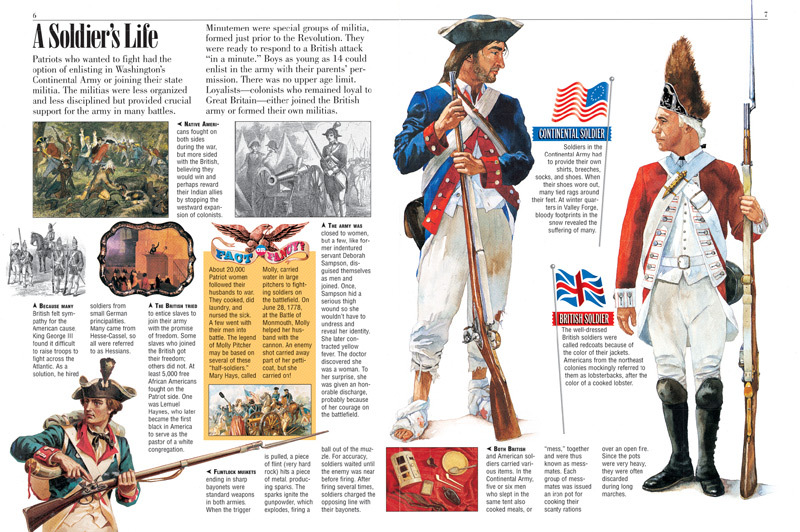 Kids will also read about Revolutionary War reenactments that take place today – a slice of living history that is sure to inspire them.